Snaps together in seconds - no tools required. Modular design permits hundreds of shelving configurations. Made of heavy duty high impact plastic for long-wearing use. Impervious to oils, gas, acids, solvents and most chemicals. 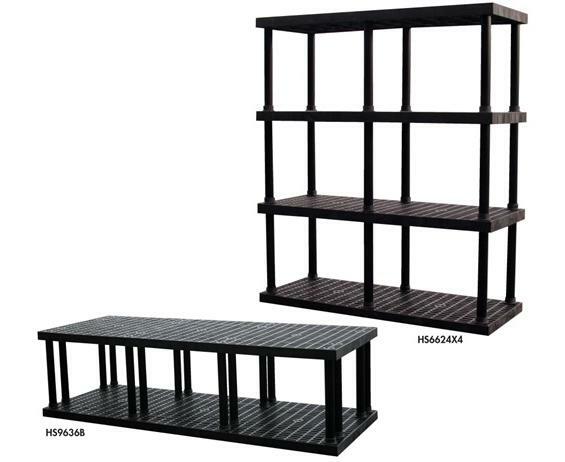 Open grid shelving is ideal for wet, corrosive and harsh environments. Reduces dirt and dust accumulation and increases air flow and light penetration. 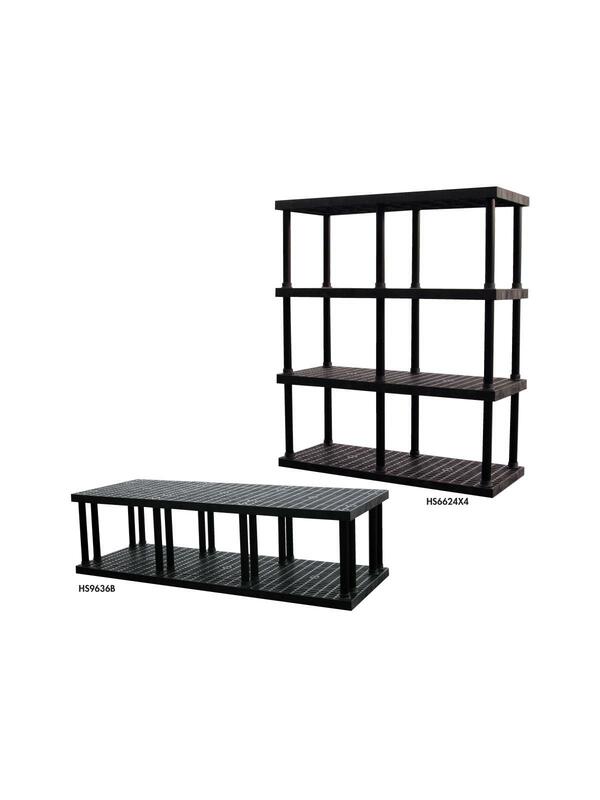 Add or subtract shelves to satisfy spacing needs. FOB Shipping Point. 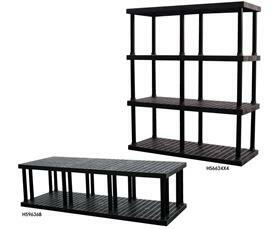 See Related Items tab below for Containment Trays for Dura-Shelf® Plastic Bulk Shelving.